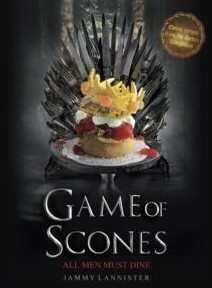 If you like watching HBO’s Game of Thrones, then this spoof recipe book may amuse you. Ships. You’ll need ships unfortunately. On the other hand the illustrations seem to suggest that people who enjoy making fiendishly difficult desserts and cakes will manage to achieve the required result. 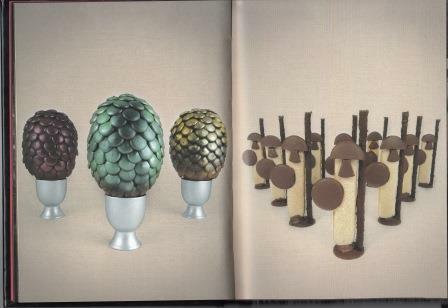 For a themed party, there are interesting delicacies such as Joffrey’s Jaffa Poison Cup and Tyrion’s Shortbread. I don;t even need to read the book, I am going to just laugh at the title for a while! Yeah, it’s one of those so-called gift books that you read once, and then you really don’t know what to do with it. But if you were a hard-core Thrones fan – people do have themed parties especially when a new series arrives – you’d probably add it to your collection of Throne memorabilia.